The exploitation of mineral resources brings convenience and wealth to human. However, the construction and production of mine follows by destruction of the land and the damage of ecological environment. Land reclamation and ecological restoration not only makes the disturbed land reuse, but also it can improve the restoration of the destroyed ecological environment. “The Belt and Road Initiative” in 2013 puts forward new requirements for the mining exploration and ecological environment protection. In order to promote the land reclamation and ecological restoration in mining areas. The 2nd International Symposium on Land Reclamation and Ecological Restoration” will be held on October 20-23 in Xi’an. 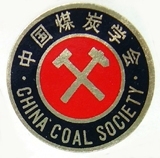 The conference is hosted by China Coal Society and China University of Mining and Technology (Beijing), jointly organized by Committee of Land Reclamation and Ecological Restoration of China Coal Society, Xi’an University of Science and Technology and the Chinese Ecological Restoration Network (ER-CHINA). We will invite international and domestic professionals from academic organizations, research institutes, universities, relative government departments, industry and media for in-depth discussions and exchanges for a wide range of topics on land reclamation and ecological restoration policies and regulations, planning, theoretical research, technology development and application. This symposium will foucus on land reclamation in ecological fragile areas. The symposium on land reclamation and ecological rehabilitation is a series of international conference, held every three years. 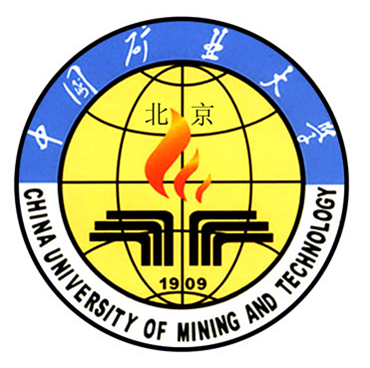 The first symposium was held successfully on 16th - 19th October, 2014 in Beijing, China. The effect is remarkable. Nearly 60 foreign scholars from 15 countries and more than 300 domestic scholars to participate the symposium. The deep discussion and communication of mine restoration and land reclamation in China including legislation and practice, technology and theory and so on, promote the development of the mining area ecological environment and land reclamation. Chen Tongbin, Institute of Geographic Sciences and Natural Resources Research, Chinese Academy of Sciences,China. Conference proceedings published in the form of Hardbound abstracts volume + CD-ROM full papers, and will be transmitted to participants. Authors whose abstract has been accepted should submit their full paper before March 15, 2017. Besides, at least one of the authors will register for the conference to pay for the published when you submit your full paper. Please download the Author-Instructions-LRER2017 attached to complete your full paper. You can refer to the Sample Chaper file. And you should deliver one word file and identical PDF file. The file ' AUTHOR INSTRUCTIONS-Reference' in 'Author-Instructions-LRER2017' will help you prepare your full paper. Then please send paper,Consent form or Permission Request letter to the email: Paper@er-china.com. *Restrict your file type to the DOC and DOCX.